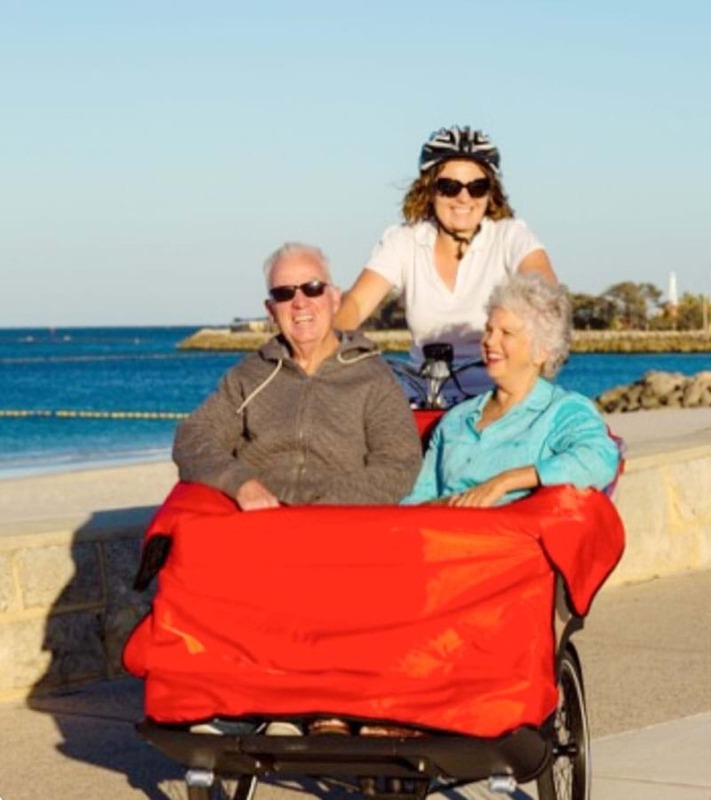 Late last year we ran a story about a Perth mum who had a big idea to give the elderly amongst us the chance to literally have the wind in their face and a day out riding along the coast. All thanks to an e-powered 'trishaw' bike... this one. Well, we have some excellent news. Alanagh Godderidge, the person behind bringing the initiative to Perth, has successfully raised the required money through donations and sponsorships to launch the service, which will be based in Sorrento. It's called Cycling Without Age and that about sums up what this awesome initiative is all about. Anyone interested in checking out the trishaws can head down to the amphitheatre at the Sorrento Quay Boardwalk tomorrow, 24th February (from 9 to 11am), where they will be on display. Even better, local ukulele band The Nukes will be on hand to play some, well, ukulele tunes. It's your chance to check them out, and if you're interested, see how you can get involved. And, most importantly, Alanagh is now looking for suitable candidates to take on a ride. So, if you have an elderly family member or friend who's keen for a day out, visit the Cycling Without Age website.